If I say Surface Phone is one of the most waited phones ever, I couldn’t be wrong. Since the first mention of it in 2012, a lot has been written and said about the phone. So far the Surface Phone has proved to be the most awaited phone by Microsoft. What to Expect from Surface Phone? Satya Nadella’s statement gives us some idea of what he is planning to present to the world in the form of Surface Phone. Nothing can be said about the Surface Phone at that moment because Microsoft hasn’t released a public notice yet. Having said that, there are lots of rumor on the internet and in the tech circle about the Surface Phone. 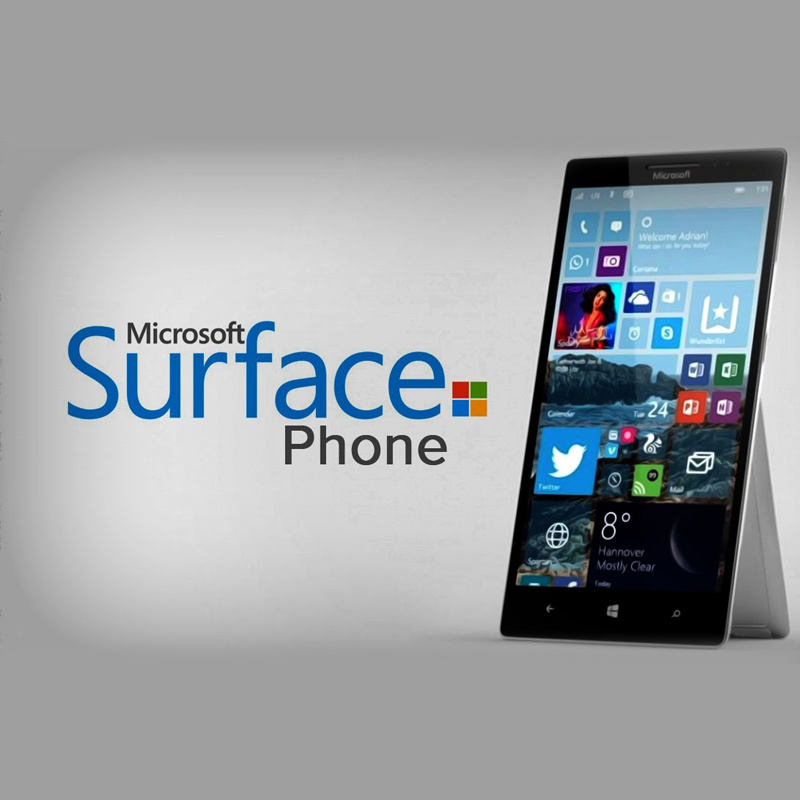 According to the rumor mill, the Surface Phone will be a strong competitor of iPhone. As per the rumors, the Surface Phone is expected to be an innovative device which is more likely to target corporate and professional users. As Microsoft has made it clear that they are still in the phone making business and they have no plan to exit the market in near future. With the fair intentions of ruling the phone market aging, Microsoft is planning to launch a unique device named Surface Phone. Microsft have already emphasized enough on the fact that Surface Phone is going to be different than the phone which we have now. It is going to be unique. The world is holding its breath to see what is it going to be? Last year, CEO of Microsoft, Satya Nadella gave a hint in an interview about what sort of device the Surface Phone will be. He said Microsoft is in the phone market to provide unique mobile devices and does not mean to compete or be defined by the phone market. His statements clearly imply that Surface Phone is going to be a unique device. From the day Surface Phone came into the existence, people have started speculating about the features, design, configuration, price and release date. After the Surface Pro, Surface Book and Surface Studio, Surface Mobile device is coming soon. No body knows about the core features of the device yet but the market is already flooded with rumors and speculations. Rumors suggest that Surface Phone will be powered by windows 10 and the device will be foldable. Nothing can be said about the device right now. We all have to wait to see what exactly is it going to be like. We can’t say right now for sure when the Surface Phone will be launched but we know it should be in near future. The Surface phone has been rumored for years and we are still not sure when it will come out. It will be a surprise if Microsoft launches Surface Phone in 2017 because all the rumors suggest that the phone is likely to come in 2018. Still, we are not sure about it. Since nothing is certain about the upcoming Surface Phone, nothing can’t say about the price. All we can say is, wait for the most awaited, most anticipated and most rumored phone by Microsoft so far. Wait and watch what Microsoft meant by the “Unique mobile device”. We will keep you update on it.